Text messaging is on the decline for the first time ever in the US according to a new report from consulting firm Chetan Sharma. They found a drop in the total number of messages being sent and received in addition to a drop in overall messaging revenue for wireless providers during the third quarter. Wait, what? People are actually sending fewer messages? Well no, not exactly. 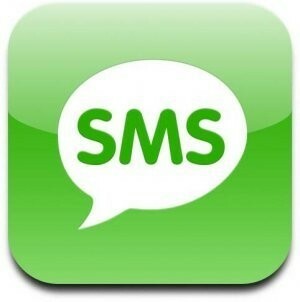 The study only takes into account SMS messages. As you likely know, services like Research in Motion’s BlackBerry Messenger and Apple’s iMessage bypass the traditional SMS platform with what’s called IP messaging. These services don’t count against carrier texting plans. What this essentially means is that some consumers are no doubt opting for a cheaper texting package since a large number of messages sent are no longer SMS-based. Furthermore, there’s likely a decline in the number of overage fees associated with non-unlimited texting plans. The report points out that thus far, the majority of wireless providers haven’t done much to evolve their strategies in this segment outside of limiting the number of texting plans available and raising costs. If that weren’t enough, a growing number of young people are opting to use platforms like Facebook, Instagram and Twitter to connect and share information with their friends – yet another blow to SMS messaging. We touched on this topic early this year when it was estimated that carriers lost close to $14 billion in SMS revenue during 2011. Other western countries have already started to see a decline in text messaging revenue but this is the first time it’s happened in the US. "It might be early to say if the decline has begun or the market segment will sputter along before the decline takes place," the report noted.